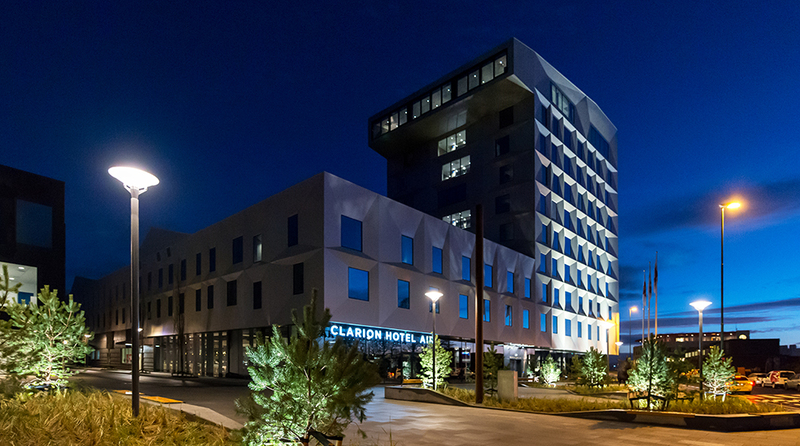 Clarion Hotel Air offers good food in a relaxed atmosphere – from early morning until late at night. Start your day in the best way possible with our extensive breakfast buffet. Freshly-baked bread, lots of delicious toppings, yoghurt and several types of muesli, cheeses, a nice big salad bar and a selection of warm dishes. Breakfast is always included in the room rate. Our breakfast restaurant also serves a pre-ordered lunch buffet and conference dinners for larger groups. Kitchen & Table by Marcus Samuelsson is a restaurant concept at Clarion Hotels, and now we're opening Clarion Hotel Air as well. Here we offer what we call Fun Dining rather than fine dining, in an inviting, warm and relaxed atmosphere. Drop by any time and experience dishes inspired by Manhattan and Stavanger. In the mood for a glass of wine or an exciting cocktail? At Kitchen & Table Bar we have a large selection of drinks to suit all tastes. Our bar is located next to the restaurant. When weather allows we open the outdoor terrace, and we also have a terrace of 500 m2 on floor 4, which can be used for private functions.